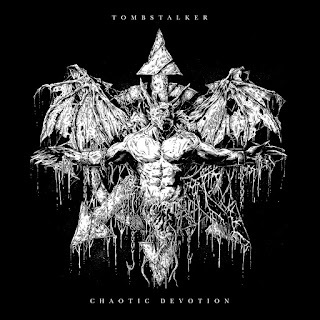 This Noise Is Ours: Tombstalker - Chaotic Devotion 7"
Time is flying at the moment and I still have countless amounts of music from this year to write about. Things are a little slow on that front at the current time but that will pick up, starting next week as I'm off and am gonna get my affairs in order! To help me get motivated I thought I'd turn to some good ol' American death metal in the form of Kentucky trio Tombstalker. Their latest 7" "Chaotic Devotion" was released in September via Boris Records. It follows various demos, split, an EP and their 2015 full-length "Black Crusades". 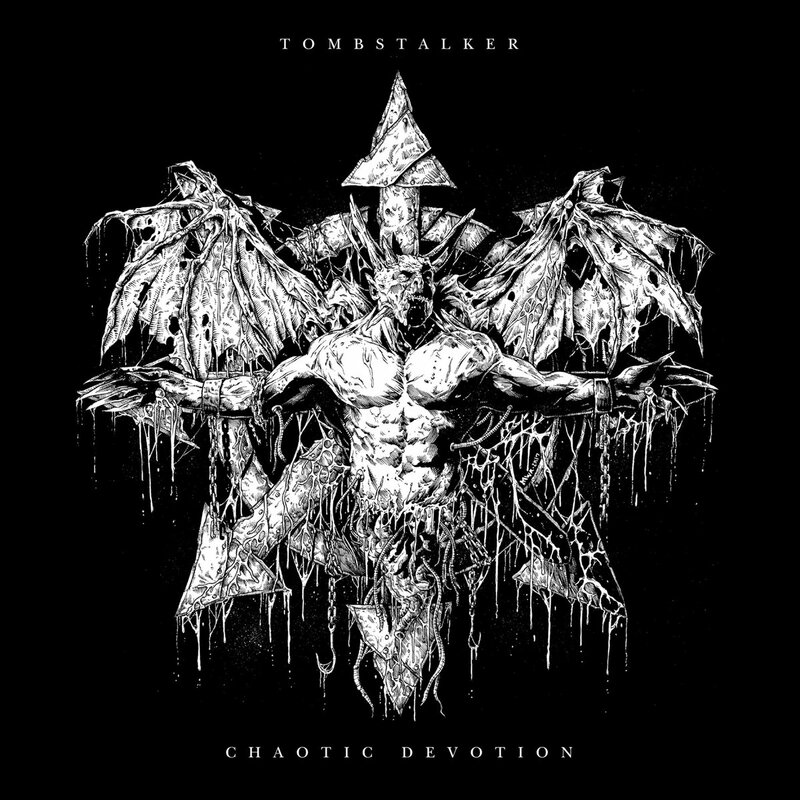 Tombstalker follows an old-school path with their sound, but one that’s as up-tempo as genre forefathers like Entombed and Sepultura. Scared To Death rips through just over three-minutes of whirlwind-inducing riffs, pummelling blasts and unholy growls. The trio of Conqueror Horus (vocals, guitar), Defiler (bass) and Basilisk (drums) make light work or whipping up a storm that’s hard to escape from. Treads Of War is a mid-tempo beast, at least to begin with. The wall of sound is thick and the music itself is technical in the right way. There are hints of both thrash and black metal throughout both songs; however, Tombstalker maintains a steely poise that revolves around death. The dual-high/low growls mid-way through are blood-curdling while the lead work that follows is a pleasure to hear. The artwork of Mark Richards (Heavy Hand Illustration) exemplifies the music on the EP itself and the production/mastering makes it sound suitably hellish too. This is perfectly executed. All hail Tombstalker!